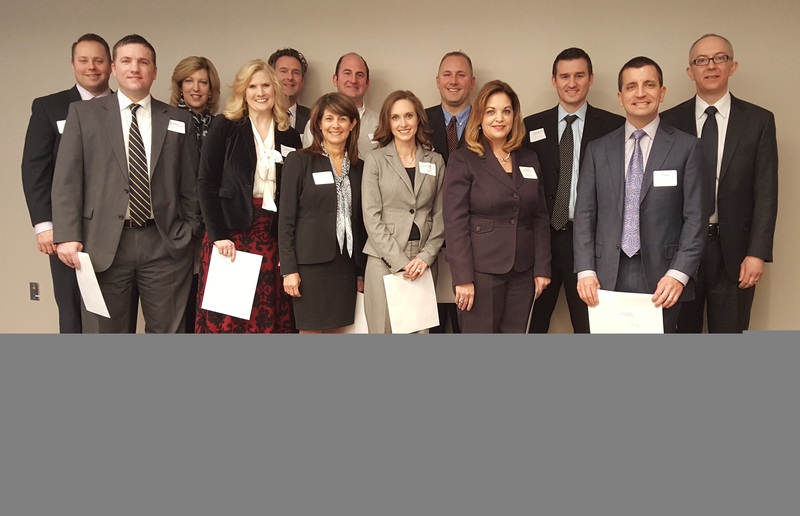 Sixteen local advisors have recently completed the coursework to earn the professional Chartered Advisor in Philanthropy® (CAP®) designation. The graduate program is organized by the Omaha Community Foundation (OCF) and led by OCF board member, Mark Weber, a principal of SilverStone Group, Inc. Through a year-long curriculum, the CAP® program provides professionals the knowledge, resources, and tools necessary to help clients reach their charitable giving objectives, while also helping them meet their estate planning and wealth management goals. During the CAP® program, professional advisors learn to help clients discover the legacies they will leave their families and community. By integrating the legal, accounting, financial services, and planned giving professions, OCF promotes an interdisciplinary approach to most effectively achieve client goals. Front row from left to right: Daniel Waters, Lamson Dugan & Murray; Linda Garbina, The Salvation Army; Louri Sullivan, Jewish Federation of Omaha Foundation; Eryka Morehead, Collaborative Planning Group; Janet Osborn, Hancock & Dana, PC; C.J. Guenzel, First Nebraska Trust Company. Back row from left to right: Joe Reding, Pinnacle Trust Services; Lisa Strutzel, GWR Wealth Management, LLC; E.J. Militti, Morgan Stanley; Jim Boulay, Lutz Financial; Troy McKinney, Bland & Associates, PC; Alex Wolf, Koley Jessen, PC, LLO; Steven Hill, University of Nebraska Foundation. Not pictured: Dan Dittman, Erickson & Sederstrom; John Glenn, Madonna Rehabilitation Hospital; Jon Grob, McGrath North. To complete the CAP® program, participants meet for 16 class sessions and must pass three graduate level courses. The program is administered by The American College in Bryn Mawr, PA, the nation’s leading educator of professionals in the insurance and financial services industry, which provides remote learning opportunities across the country. 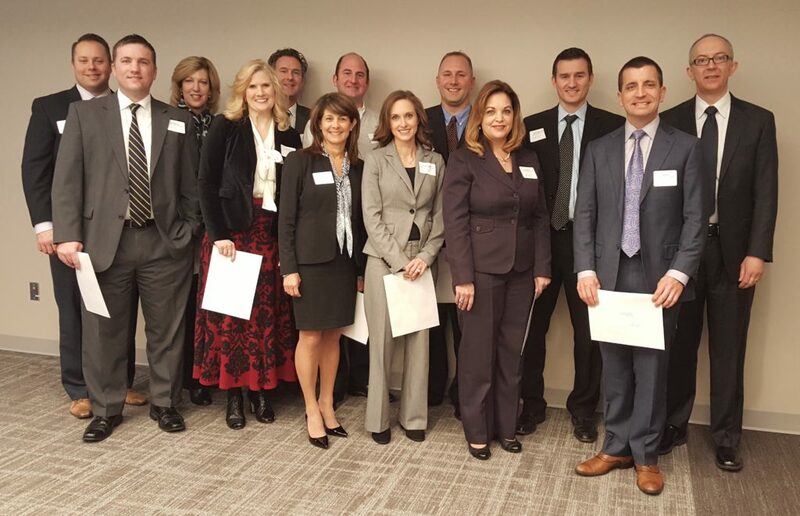 Locally, 69 advisors have been awarded the CAP® designation since OCF started its interdisciplinary program in 2012. The Omaha Community Foundation is proud to let good grow in Omaha by helping more than 1,400 donors facilitate their charitable giving. Since the Foundation’s inception in 1982, donors have granted almost $1.4 billion to area nonprofits, supporting more than 3,000 local charities.